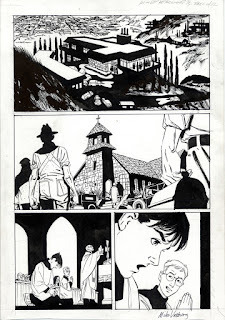 My 3rd Mike Vosburg page is actually my first, purchased from the artist himself at last year's San Fernando Comic Con. I was attracted by his spotting of blacks, especially the establishing down-shot of a Hollywood Hills location. This page is from his Retrowood graphic novel. 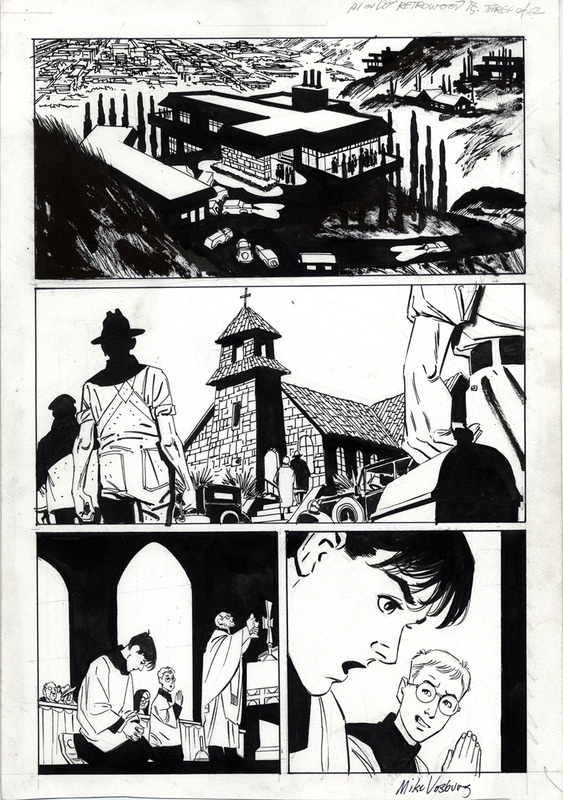 I'm presuming, on this page, that he inked the lines before spotting the blacks.